When it comes to maintaining a thriving organization, retaining talent is near the top of the priority list for companies all over the globe. Chances are, it ranks pretty high for you as well, and the statistics are there to back that concern up. A recent study conducted by Worldcom Public Relations Group discovered that employee retention was a top concern for business leaders—with 43% more of C-Level executives claiming employees would receive the bulk of their attention in 2018, when compared to the numbers from last year. Understandably, this emphasis on keeping your best talent will only continue to increase in today’s competitive and ever-changing landscape. Today, freelance gigs are ubiquitous, average job tenure continues to decline, and competition for talent is fierce. However, this important retention conversation so often focuses on one particular group: young professionals. With the stereotype of being notorious job hoppers, so much retention advice is focused on how organizations can keep seemingly flighty young workers on their own roster. How can you keep those employees who are brimming with potential engaged in their own jobs—rather than having them enticed by the siren song of the next great organization with a ping-pong table and unlimited vacation? While that focus on young professionals is more than justifiable, it also means that many companies have lost sight of another pressing retention problem—and it’s leading to a talent shortage that’s putting them in a real bind. What is it? The inevitable retirements of their older, experienced, and most reliable workers. Though older employees are often mistakenly undervalued as neophytes who can’t keep up with today’s constant technological advancements, many companies are coming to grips with the importance of their experienced workforce—and they’re doing it the hard way. Just take NASA as one of many, many examples. The White House recently ordered NASA to send astronauts to the moon. There’s only one problem: The agency is struggling to figure out how exactly to do so. While NASA put 12 astronauts on the moon between 1969 and 1972, only five of those astronauts are still alive today. And, as expected, they aren’t exactly young anymore—ranging in age from 82 to 87. 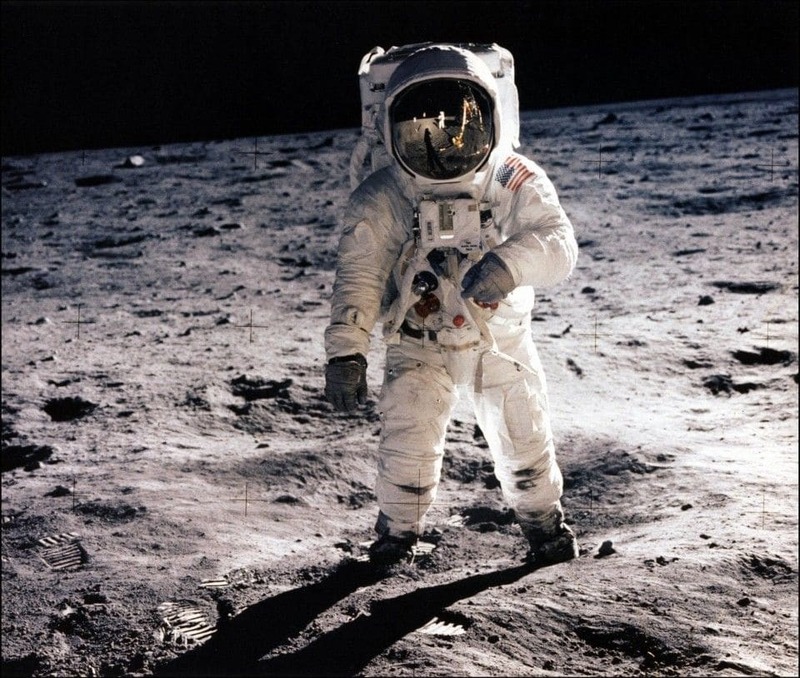 “No human being has been beyond low Earth orbit since the end of the Apollo program,” says Joel Achenbach in his article about the moon mission for The Washington Post. Put simply, NASA is facing a severe knowledge and talent shortage that is impacting its ability to carry off a core responsibility. Unfortunately, they aren’t alone in this plight—it’s a common one for many organizations as workers reach the retirement age of 65. This isn’t a slowly-progressing problem either. An estimated 10,000 Baby Boomers turn 65 every single day. And, unlike in past decades, older workers still make up a sizable chunk of the workforce. The Bureau of Labor Statistics projects that the labor force will grow to about 164 million people by the year 2024. 41 million of those people will be ages 55 and older, and 13 million are expected to be 65 and older. When those employees all choose to retire within years—or even months—of each other? That puts employers in a pretty sticky situation. It comes as little surprise that 62% of Fortune 1000 companies believe that retirements of these experienced employees will lead to skilled labor shortages over the next five years. Those alarming statistics are enough to cue the horror movie soundtrack in the mind of any business leader, and companies are finding different ways to navigate this changing talent landscape. Other companies focus on providing even more attractive health benefits or asking retirees to come back and mentor younger workers. It’s another compromise that helps the employer through the transition, while making the older worker feel valued and purposeful. Many companies also rely on their retired workers on an “as needed” basis. For contingent work or special projects that crop up, they use everything from freelance arrangements or workforce technology to formal, company-wide programs to retain the talent of their retired workers and still engage with them from time to time. In short, so much emphasis is placed on fresh, up-and-coming talent—and for good reason. However, employers are quickly realizing that their older, more experienced workers are equally worthy of attention and commitment. With decades invested in the workforce and vast knowledge that they’ve developed through years of hands-on experience, when veteran workers decide it’s time to move on to retirement, they leave behind a skill gap that’s tough for employers to readily replace. Fortunately, it’s those very same experienced workers who are in a position to pass the torch and empower young professionals to tackle their roles with that same insight and know-how. They just need companies who are willing to commit to and invest in that knowledge-sharing process.